Join architectural historian Joe Kerr on a walking tour through the radical histories of Somers Town and King’s Cross and see the Living with Buildings exhibition at the Wellcome Collection. Joe will guide you through an area which has long been marked by a mixture of social deprivation and progressive politics, which has resulted in an array of architectural and institutional experiments designed to improve general health and welfare. There will then be an opportunity for refreshments at the Wellcome Collection café, followed by a visit to the exhibition. A guided tour will be offered to the first 20 bookings. Meet time/place: 10.45am, foyer of Wellcome Collection, 183 Euston Road, London NW1 2BE (nearest tubes Euston/Euston Square). The walk will finish at 12.30pm, foyer of Wellcome Collection. 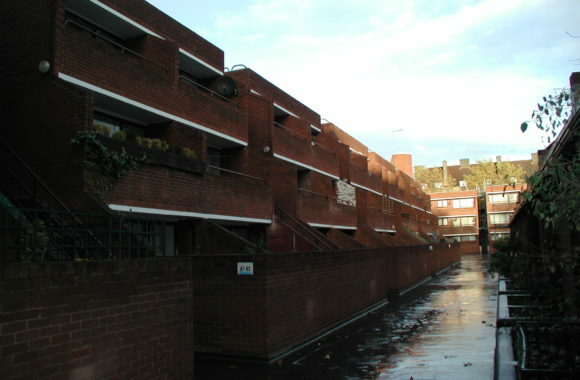 Old Oak Park Royal Development Corporation is responsible for a major re-development project in west London. 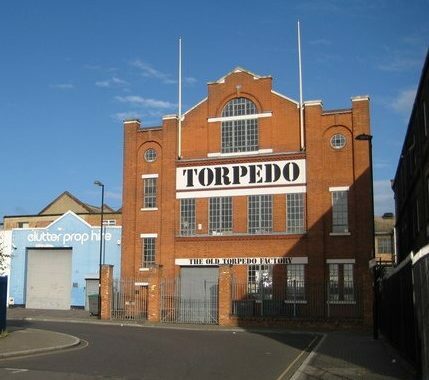 The area started to become industrial around 1900 but mainly developed after the Great War. This trip is a return to a site we visited about 20 years ago. Much has happened since then, and more will happen over the next 20 years. The walk will cover the historic centre of Park Royal and include some of the buildings put forward for local listing. We will see some new build and hear about changes in the industrial base of the area. We will also see some industries that have continued. The process of change and the involvement of various partners will be outlined. The walk will provide an opportunity to see and understand what major re-development projects like this involve. In the mid-noughties C20 campaigned, unsuccessfully, for the listing and preservation of Giles Gilbert Scott’s Guinness brewery. Gavin Stamp’s comments can be seen here https://c20society.org.uk/press-releases/c20-society-barred-from-scott-masterpiece-guinness-brewery-under-threat/. Note this is not an official OPDC trip; it is led by John Goodier who has become “Mr Heritage” for the project. The notes will contain an overview of the work so far and an outline of future work, and briefly outline the role of various stakeholders. If you would like a copy of the notes which contains a lot of background information before the walk please e-mail john.goodier7421@btinternet.com for an e-copy. Paper text will be available on the day. Meet 2pm North Acton Station (Central line). Facilities at the Castle Pub (turn left out of the station) please return to the station for 2pm start. Finish at 4pm at Harlesden (Bakerloo Line). The Grand Junction Arms and a café are at the end of the walk. There is an optional walk along the canal and back to North Acton for those who want about an extra half hour. Members’ price £12.00 Non Members £16.00 book here. On Saturday 30 March there will be a study day on Beryl Dean, the pre-eminent ecclesiastical embroiderer of the late 20th Century. Dean’s work, spanning over 60 years, ranged from costume design and exhibition pieces to vestments and altar frontals for both British and American churches. Her exquisite technical skill and aesthetic eye, together with her passion and commitment to the art form, was developed by her teaching, and in 1955 she formed the Ecclesiastical Embroidery class at Hammersmith College. Students of Dean’s went on to undertake high profile commissions to both Dean’s designs and their own. This study day will examine the context in which Dean’s output developed, her works that survive in both museums and churches, and her influence on contemporary needlework today. 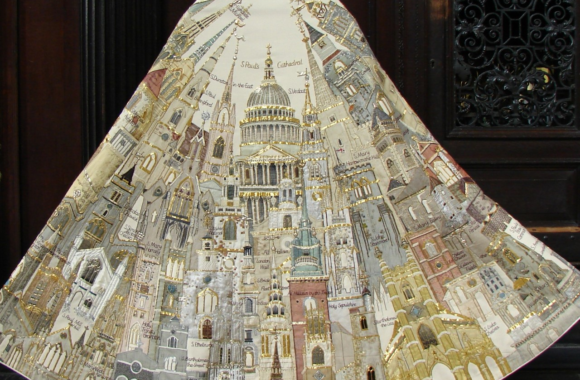 The day begins with the option to view the Jubilee Cope (pictured) at St Paul’s Cathedral from where we shall walk to continue the day at The Gallery, 70 Cowcross Street. The day is organised and jointly hosted by Art and Christianity, the C20 Society and the Textile Society.